The Route Verte project is currently 5,300 kilomtres long, and is comprised of 1,950 km off-road (rails-to-trails, canals, etc), 2,400 km provincial roads (paved shoulders) and 950 km local road (bike lanes, shared roads). The route connects all 16 regions in Quebec, passing through nearly 400 municipalities. Success was achieved by sticking to the original concept and the development plan: accessibility, security, signage, cyclist experience, involvement of all the local/regional partners and of course the idea of a network and not bits and pieces of bike ways. The biggest challenge is funding, being able to keep investing into maintenance and refection of trails. The Quebec provincial government recently announced a $2.5 million subsidy that should cover 50% of the cost for bike trails and rails-to-trails maintenance. From previous studies, we estimated it costs $3,000 annually to maintain a bike trail, and $1,500 annually for bike lanes and paved shoulders. In terms of the economic impact of tourism dollars equated to tourism, there isn’t an overall grand total, however some regions have done their own studies independently. The Laurentians estimated an economic spin-off from cycle tourism at $16 million annually, while Saguenay-Lac-St-Jean estimated tourist spending at 9.75 million, and Eastern Townships put it at 3.5 million. By the end of 2016 the Great Lakes Waterfront Trail will be 1,600 kilometres long, running from the Quebec border to Grand Bend. In 2017 an additional 370 km will be added from Sault Ste. Marie to Sudbury, as part of a partnership with TransCanada Trail and the Ontario Trillium Foundation. Currently the network runs through 84 municipalities, regions and First Nations, excluding sections through St Lawrence Parks, Niagara Parks and Parks Canada. The Sault Ste. Marie to Sudbury section will add an additional 21 municipalities and First Nations. There are currently three major initiatives that will expand the network substantially. A partnership with the Greenbelt Foundation will establish an additional network of 470 km throughout the Lake Ontario watershed, via the newly launched Greenbelt Route. As well, there are plans to extend the Trail from Grand Bend to Tobermory and around Georgian Bay, as well as establishing the Voyageur Cycling Route from North Bay to the Ottawa Valley in partnership with Discovery Routes. Consistent funding for on-going co-ordination is one of the main challenges. There are no collected numbers based on cycle tourism revenue dollars calculated by the Trail organization itself. However, the Great Waterfront Trail Adventure participant survey showed an estimated $178,000 in local economic benefits. In nine years of doing the Great Waterfront Trail Adventure, we hear again and again how much people enjoy visiting the small towns and villages, and how they would have liked to spend more time there. In 2010, according to Ontario by Bike, Ontarians who participated in some cycling activities spent close to $400 million. The Greenbelt Route is 475 km from end to end and is marked with more than 1,100 signs across the network, from Rice Lake to Niagara Falls, where it connects up with the Waterfront Trail. At nearly 2 million acres, Ontario’s Greenbelt is the world’s largest permanently protected greenbelt, keeping our trails, farms, forests, and wetlands safe and sustainable. The Greenbelt Route passes through 23 municipalities and seven regions. The linear Greenbelt Route is now complete, and work with tourism partner organizations is underway to profile other loops and routes in the vicinity of the Greenbelt Route. The success of this project is certainly in the partnerships that been formed to promote Ontario’s Greenbelt as a great cycling destination. The Waterfront Regeneration Trust has been a vital champion and tireless partner thought the conception, development and execution of this new, substantial cycle tourism product. Road infrastructure is expensive, and so finding dollars for infrastructure upgrades is a challenge. With this network being so new, there are no numbers for maintenance or generated tourism revenue as yet. The organization is exploring ways to work in partnership with Ontario By Bike and the Share the Road Coalition to collect these types of statistics. While there is no official cycling network that is provincially recognized in Ontario, there are certainly many routes such as the Waterfront Trail, Greenbelt, and other regional networks and trail systems. 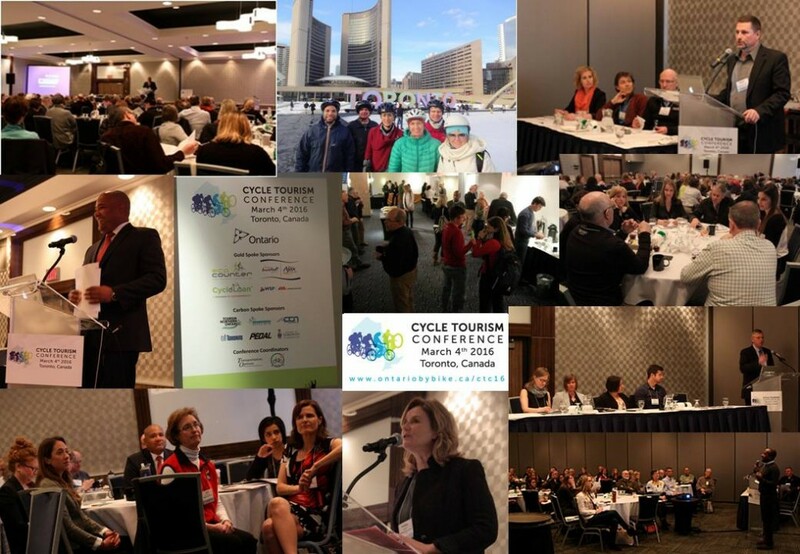 The Ministry of Transportation is currently working on network identification via Ontario's Cycling Strategy, which looks ahead 20 years and outlines a route map of what needs to be done to promote cycling across the province as a viable mode of transportation. The program also supports adopting healthier and active lifestyles, the tourism industry, as well as the achievement of environmental and economic objectives.